The Cumbria Bat Group kindly let me come along on a hibernation survey at Easegill Caves in January 2017. We hiked up to Upper and Lower Kirk Caves to see what we could find, then descended using ropes and caving ladders into Link Pot to explore an underground cave network some 15m down. 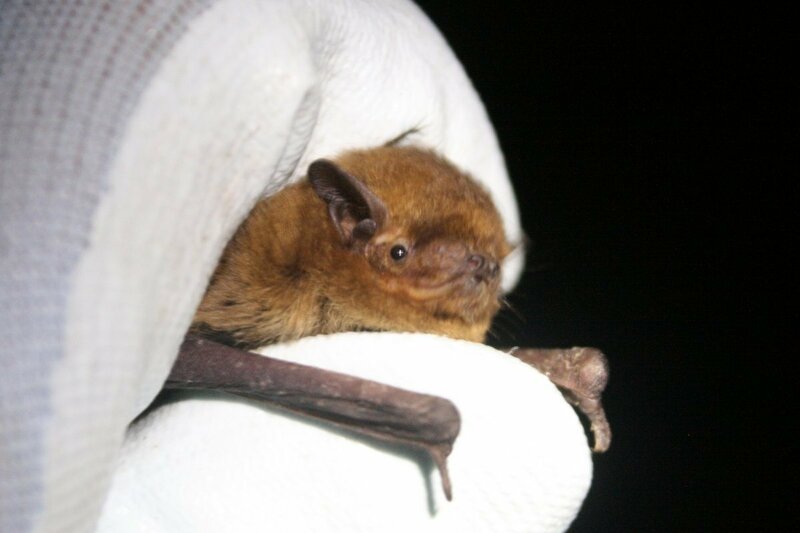 We found good numbers of myotis species including Daubenton’s, Natterer’s and whiskered/Brandt’s/Alcathoe – these last three are grouped as it’s very difficult to distinguish these three without disturbing the bats. We also found a small number of brown long-eared bats hibernating too. The video below shows a summary of the seven hours we spent out in the hills, in just under three minutes! 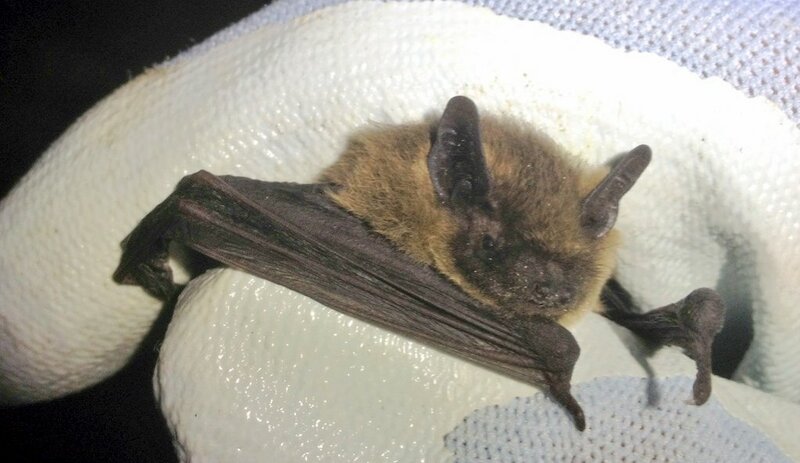 The following photographs show a few of the hibernating bats we identified on the surveys. It’s not only bats we found in the caves – plenty of cave spiders and hibernating moths too including herald and tissue moths. If you would like to get more involved with your local bat group and help out on hibernation surveys such as these, you can find your nearest here. Many thanks to the South Cumbria Bat Group, and Rich Flight in particular, for a great opportunity to explore the caves and see plenty of roosting bats! My last professional bat survey of the season was completed last week – at a railway tunnel which is a swarming site for a small number of bats. Swarming sites are locations, often caves, mines or tunnels, where bats – particularly the myotis species – gather in the autumn to mate. We stayed until 5h after sunset to monitor the usage of the tunnel and recorded around 5-6 bats at this site. 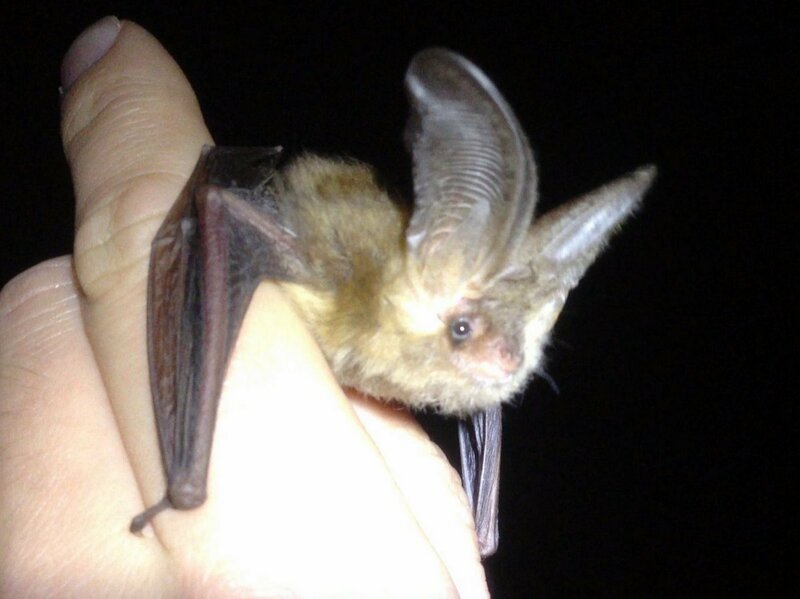 They are most likely to be Natterer’s bats, judging by the calls, although myotis species are notoriously similar acoustically, and can be difficult to tell apart from sound alone. This is an extract from the echolocation files from the tunnel survey. The calls which are very long and straight (known as FM of Frequency Modulated calls) are distinctive of myotis species. This is probably Natterer’s bat because the start of the call is at such a high frequency and the end is at such a low frequency. For reference, most people can hear upto about 18 kHz which would be a very high pitched sound. These calls are from well above 100 kHz and end around 30-40 kHz. The bats were using the tunnel entrance – a great, ominous opening onto blackness surrounded by shrubs and trees – but they spent most of their time flying in tandem within the tunnel and especially around the vertical air vents – circular ‘chimneys’ some 5m wide – which are spaced out down the length of the tunnel. I’ve recently bought a trail cam and this seemed like a good opportunity to try it out and answer the first question – can it be triggered by bats? I’ve spoken to people who have said that they can, but that the lag between the detection and the shutter closing means that the bat has been and gone before you can get a good photo. I’ve opted for the Bushnell Trophy Cam Max HD, largely because of the no-glow LED’s which would hopefully reduce the risk of it being spotted and interfered with, but I wasn’t sure how the different cameras available would compare on their sensitivity. It can certainly spot a greenfinch hopping about on the lawn which suggests it is reasonably sensitive to small creatures, but my first test on bats suggested that flight ~6m away was not detected. I placed the trail cam face-up beneath one of the air vents and there were no ‘triggers’ but I also used the ‘field scan’ setting to automatically take a 10 second video every 5 minutes, regardless of whether the camera detected something to monitor. The result was lots of empty shots, with only dripping water to reveal movement, but I did record one brief pass of two bats flying close together. It’s not great footage – very far from something you might have seen on the BBC recently using their high quality night vision kit – but it is enough to show that the bats are there and it could potentially be a way to monitor the presence of bats in a site such as this over a period of time. 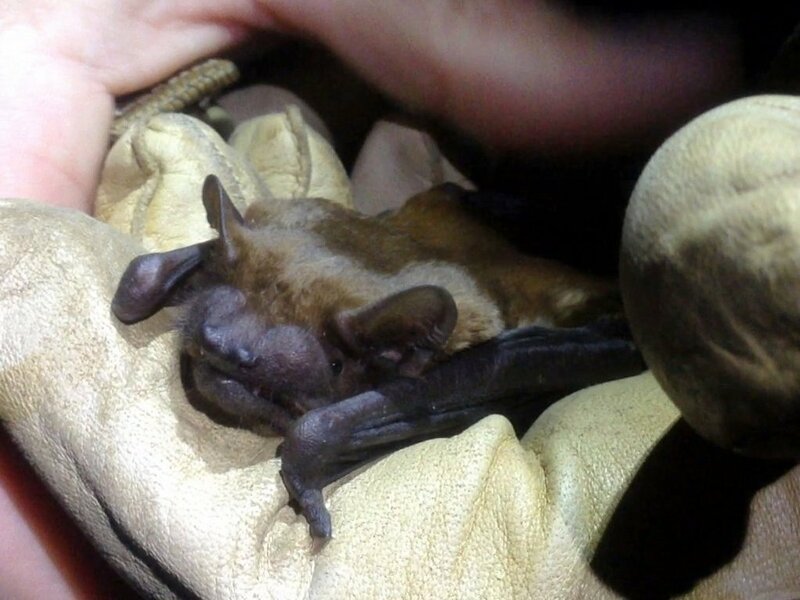 The use of automated bat detectors has really taken off in recent years – this is a great supplement to surveys where ecologists walk or watch and detect bats using hand held devices. A static unit can sit in the field for a week, record every bat which goes past, and be picked up and analysed at your convenience. 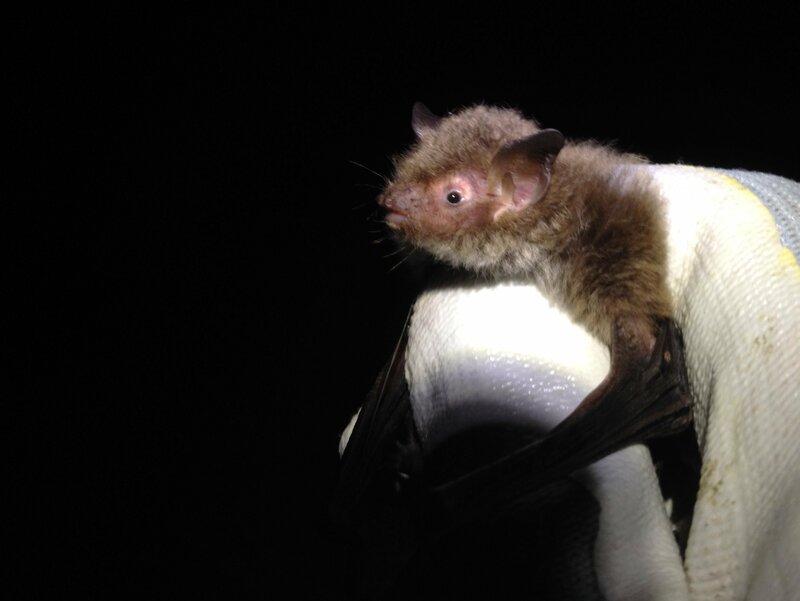 It lacks the qualitative element which can be gained from an actual surveyor in the field – where did the bat fly, which direction, what behaviour – but it is invaluable to assess the assemblage of bats present, picking up species present at low densities or passage use by rarer species. In a similar way, I am hoping that the trail cam will be a great way to gather a census of the species of mammals in an area or at least using a trail, even if they only pass that way once a week. With any luck, watch this space for further updates and footage which are hopefully a little better than this! If anybody has any experience of catching videos of bats in flight using a trail cam, I’d love to hear about it!